The Schools Recycling Project Collectively diverted 176327 kg of waste from landfill for the first term of 2018! The Schools Project was initiated in 2009 as part of our Company's social responsibility campaign and has since signed up over 300 clients in the Nelson Mandela Bay Metro. The project aims to educate learners and the general public about the importance of recycling. This is done by supporting schools and other organizations with recycling facilities, educational activities and motivational tools. As a result, for the first time in the last 3 years, we have a new first place winner, Colchester Primary. 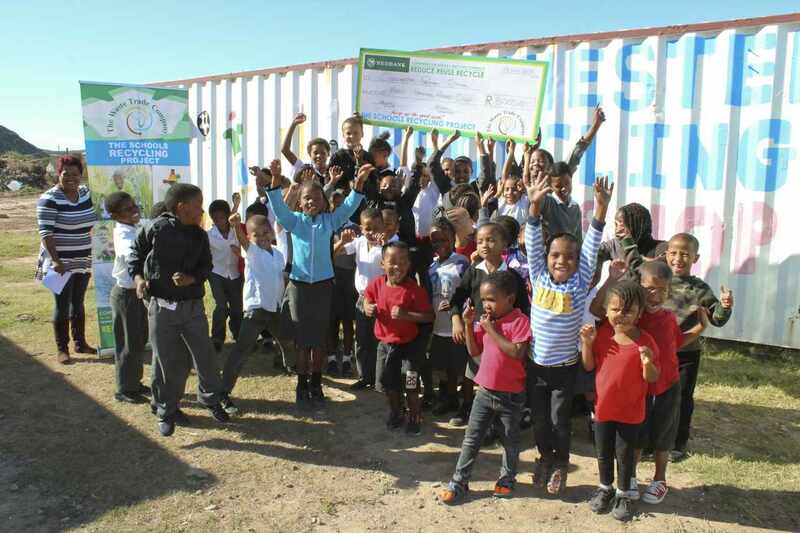 This school generated 1582 kg of recyclables for the first term, and has a total of 93 learners. Their average weight per child being 17.1 kg (approximately 142 tabloid newspapers per child). Colchester Primary won R3000.00, sponsored by Mpact Recycling SA. Colchester Primary runs a recycling buyback centre, managed by Sue Lake and local volunteers. Once a month the children are encouraged to bring their recyclables in exchange for a credit to shop at a pop-up shop (container filled with donations). They would open up shop more often but need support in storage space and volunteers. Our flagship school, Kabega Primary won R2000.00 in second place this term. They collected a total of 12 346kg of recyclables. Their average weight per capita being 13.48kg. Kabega Primary has long been our top recycling school. They set a stellar example of how a recycling project should be managed at school. The plough all their recycling income back into other green projects and have a very active team of Groenspoor Prefects that ensure for the susteinability of the project. Newcomer Bertram High School was awarded R1000.00 in third place, with an average total per pupil of 4.10kg. In total they collected 3948kg of recyclables for the first term. Bertram High has been recycling mostly paper products, but intends to expand their recycling project. They are looking to establish an enviroclub to assist them in increasing their green footprint.